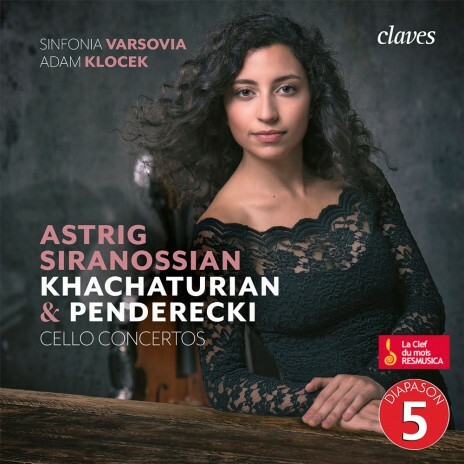 …Astrig Siranossian dominates in a fluid and powerful way in the Concerto of A. Khachaturian… She plays eloquently but as a musician, with a natural vibrato, retains of nuances or accents that multiply the tones of the instrument. 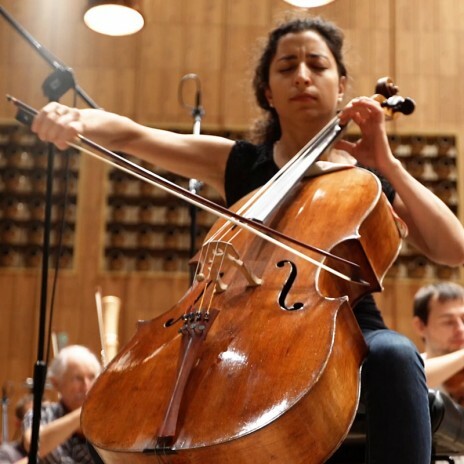 With Astrig Siranosian, the constellation of young French cellists, invited to shine on the international sky, are enriched by a new star. …Performers take us to an exceptional musical journey. Siranossian’s superbly articulate and technically flawless playing is refreshingly spontaneous and elaborate. The modal melodic vein, flexible, as lyrical as it can be, the ornaments and inflections are made out of pure emotions. Serenity, a sense of fulfillment, self-assurance and joy – all of these expressed feelings are magnified (not to mention the beautiful variations of the 7th melody Kele Kele). Astrig Siranossian, whose authentic singing perfectly blends with the sound of her instrument, confirms her rare qualities. 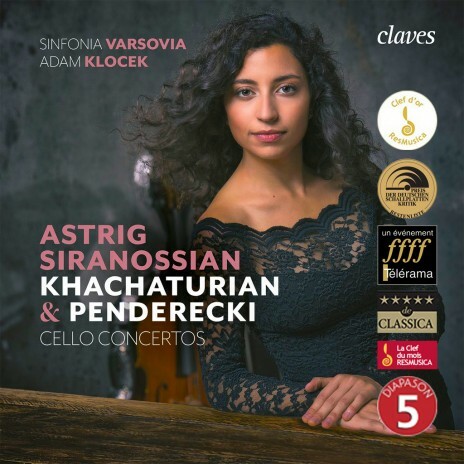 New CD release for Claves Records including A.Khachaturyan and K.Penderecki concertos with Sinfonia Varsovia and Adam Klocek as conductor. Official date March 15, 2018. 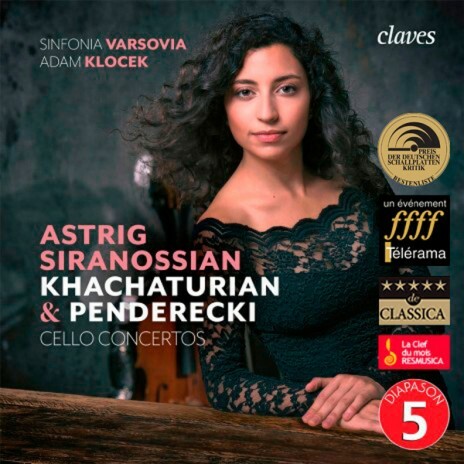 RECORDING: Astrig Siranossian & Sinfonia Varsovia – K.Penderecki and A.Khachaturyan concertos. The French-Armenian cellist’s first record confirms her talent through the cuddly and capricious moods of Poulenc’s sonata, through Faure’s melodious waves and Komitas (the Armenian Bartok) collection of transcribed folk music. 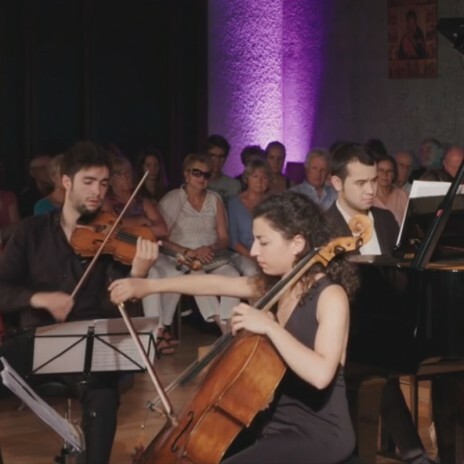 The sobriety of Astrig Siranossian and her pianist Théo Fouchenneret intensifies the emotions. This first recording gives a new visibility to two young artists noticed on stage…They deliver here a clever and very personal selection of compositions, alongside with an outstanding performance and a beautiful mastery. 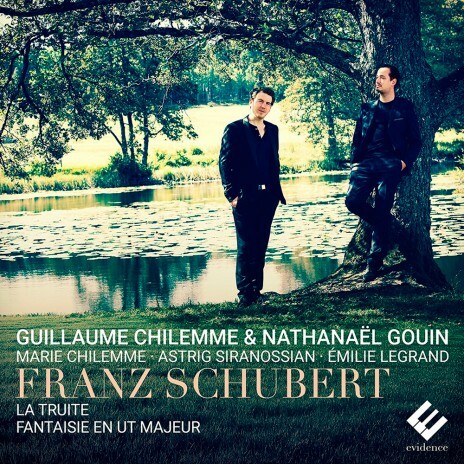 Cellist rarities…In this lively interpretation the young duo demonstrates a respectable musical mastery and an amazing sense of subtle characterization. Performing Francis Poulenc’s sonata is all about portraying the sudden mood swings of the (stylistically speaking) capricious composer. In the five graceful Original-Piece (the touching “Sicilienne” included), Gabriel Fauré requires and obtains fine lyrical emotions. As a wordless singer, the cellist performs outstandingly the 13 folk melodies, touching in their own way, collected by the Armenian songs collector and polymath Komitas.